Our mission is to help people live more organized lives every day resulting in happier, less stressful living. The way a home is organized is very personal. We take time to listen to our clients’ unique situation. We want to understand their personal organizing dilemmas and learn about what they hope to achieve when they hire Naturally Organized. You won’t get a cookie cutter approach here. Lorraine and her team take pride in their attention to detail and their supportive, encouraging, non-judgmental approach. We never lose sight of the fact that we’re in your home, we’ll respect your property and privacy; all information received while working together will remain strictly confidential. We’ll listen to your ideas as well as recommend a variety of alternatives. Together we’ll create sustainable, custom solutions that will work for the entire family and we’ll teach you the fundamentals of organizing along the way. We invite you to visit our testimonial page to hear what people are saying about Naturally Organized. 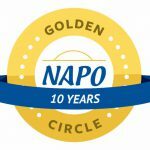 Member, National Association of Productivity and Organizing Professionals (NAPO) since 2005. Featured in publications such as Hippo and New Hampshire Magazine. Past Vice President NAPO –Greater Manchester. 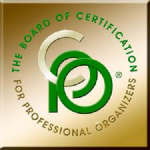 Conducts highly-interactive organizing workshops throughout the Greater-Boston/Southern-NH area. Certificate of Study in Basic ADD Issues with the Chronically Disorganized Client 2013. Certificate of Study in Chronic Disorganization 2012. Lorraine enjoys gardening, reading and kayaking in her free time. She lives with her husband in Hudson, NH where, of course, she keeps it all – Naturally Organized! 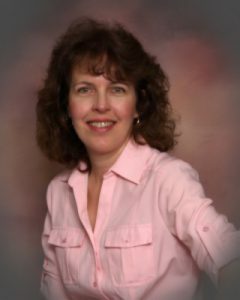 Call or text (603) 821-0736 now to schedule a free phone consultation with Lorraine.